A cognac coming from a passion ! The cognac region is, for me, a peaceful space, a countryside patch that embalms as soon asyou go for a walk around vineyards or cellars. These caves are as full of treasures as there are different cognac vineyards. That proves, how rich the region is ! Slowly, you let yourself be seduced by this beverage. 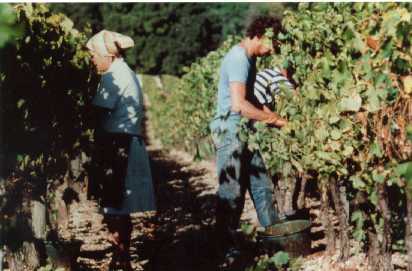 And as far as passion increases, you can imagine the melting of original vineyards, the associations of rare vintages, the mixte of pigments that any producer dared to manage. A glass of cognac in your hand, and you can share the softness and the pleasure to be together during a privilegied moment.